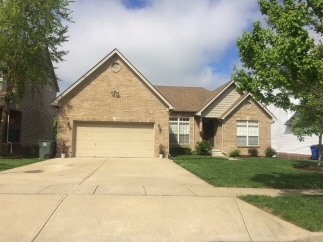 Description: Spacious 5 bedroom 3 bath ranch home located in lexington. New carpet in all bedrooms; new flooring in basement; new hardwood floor in living room and formal dining room. Two of the main floor bedrooms and the basement have new paint. Full sized walk-out basement, 2 car attached garage. Enjoy the garden area and a greenhouse. Data believed correct but not guaranteed. Buyer to verify data prior to offer. Agents read agent remarks.